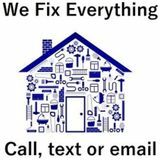 For the past fourteen (14) years we have been providing a vast array of professional and handyman services ranging from simple tasks to major construction and project management. We are fully insured and have attained our WSIB eCertificate. We are an accredited Better Bureau Member for 13 years. We have an A Rating. If your looking for reliability, experienced personnel, six sigma best practices, certified skill-sets, design and build capabilities we are your prime choice of company.